Western High School strives to engage, prepare, and graduate all students ready for their education and career goals. To do this, Western’s Warrior Way is to be engaged in learning today, empowered for success tomorrow. 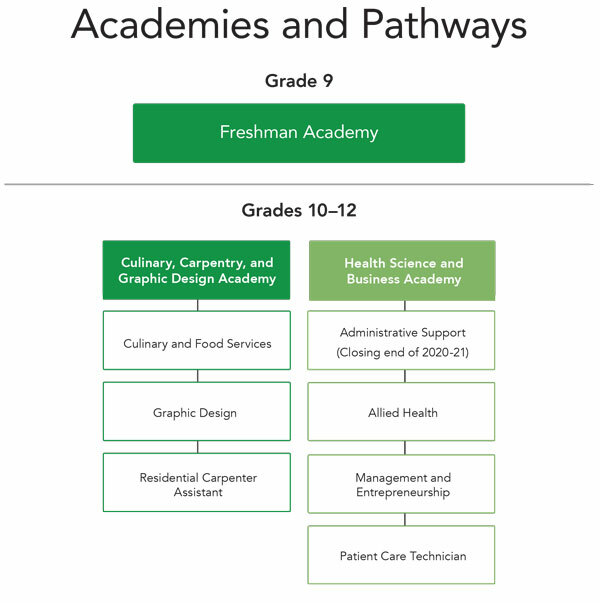 Students can engage in many programs at Western including: Early College, Culinary Arts, Carpentry, Graphic Communications, Administrative Support, and Patient Care. Additionally over their four years, students can earn up to 60 college credits, tuition free! Throughout our programs, Western offers an Advance Program, Comprehensive Program, and an Honors Program. Additionally, Western is one of two schools offering the Louisville Rotary Promise Scholarship, helping parents and students attend college.